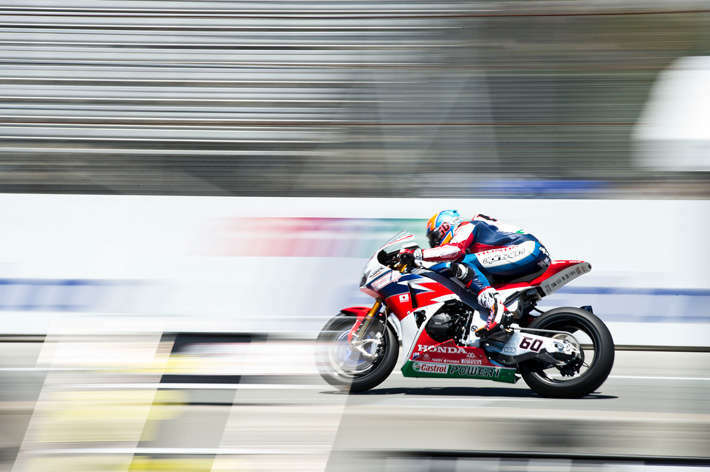 The ninth round of the 2016 FIM Superbike World Championship has drawn to an end for the Honda WorldSBK team, with Nicky Hayden and Michael van der Mark finishing a shortened race two at Laguna Seca in fifth and seventh places, respectively. Courtesy of this weekend’s results, van der Mark is now equal in points with fourth-placed Giugliano in the championship standings, while Hayden is twelve points down in sixth. The initial race was stopped during lap five following Pawel Szkopek’s spectacular crash at turn six: before the checkered flag was deployed, Nicky Hayden was running strongly in fifth place after setting his best lap of the weekend on race tires. Van der Mark, on the other hand, was at the back of the field in nineteenth, after crashing out at the Corkscrew on the opening lap and rejoining the race on board his Honda CBR1000RR Fireblade SP machine. The new 21-lap encounter got underway 20 minutes later with both riders getting a great launch off the grid. Unlike the four laps completed before the red flag, Hayden started to experience some problems with the front and was unable to attack the Californian track the way he wanted. Nevertheless, the 34-year-old American managed to hold on to fifth place up to the checkered flag. After going from nineteenth to eleventh in just one lap, van der Mark joined the five-way battle for fourth place, eventually getting the better of both Yamaha riders and finishing seventh. The team will now return to its headquarters in the Netherlands, while Hayden and van der Mark will fly off to Japan in order to start their preparations for the Suzuka 8 Hours, which takes place on July 29-31. The Dutch-based squad and the riders will then reunite halfway through August for a two-day test at the Lausitzring in Germany, the same circuit hosting the tenth round of the season on September 16-18.